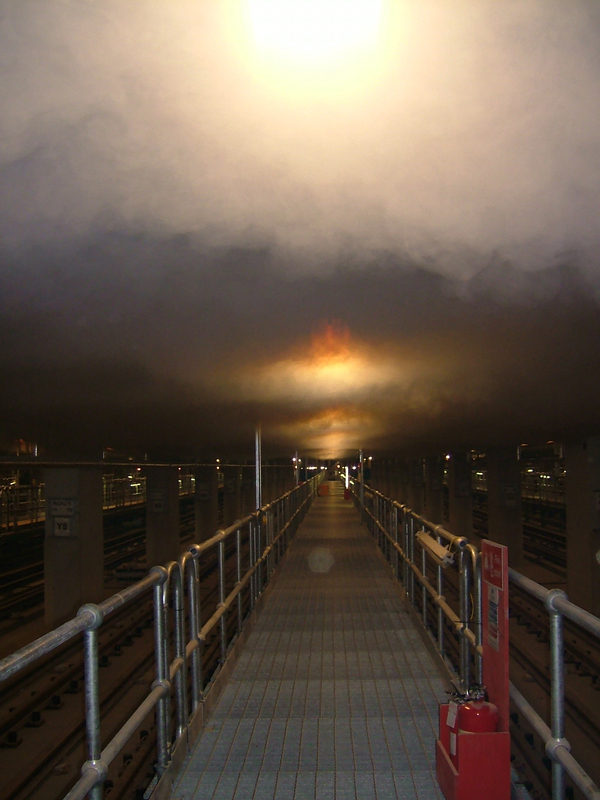 Our brief was to produce a thermally buoyant smoke layer in order to test the efficiency of the high level smoke extraction system, activating the VESDA smoke detection system, but without activation of the sprinkler system: We supplied smoke generating equipment, an operator and technical guidance as to how this could be achieved. The testing took place over a period of five nights. A single ViCount high temperature smoke system with an auxiliary heat source, with monitoring thermocouples on the sprinkler heads closest to the smoke emission. Numerous issues relating to the interreaction of the ventilation system and the smoke detection system could be identified and addressed. With such a large tunnel cross sectional area to cater for, 4 x ViCount smoke systems were utilised. For the RTA element the smoke from the machines was ducted 20m to the lorry. The smoke level was ramped up as the exercise continued, and as the fire & rescue services (3 in total) co-ordinated their attack on the fire, others freed drivers and passengers”trapped” in various vehicles. After the RTA exercise was concluded, a practical test of the ventilation system took place. 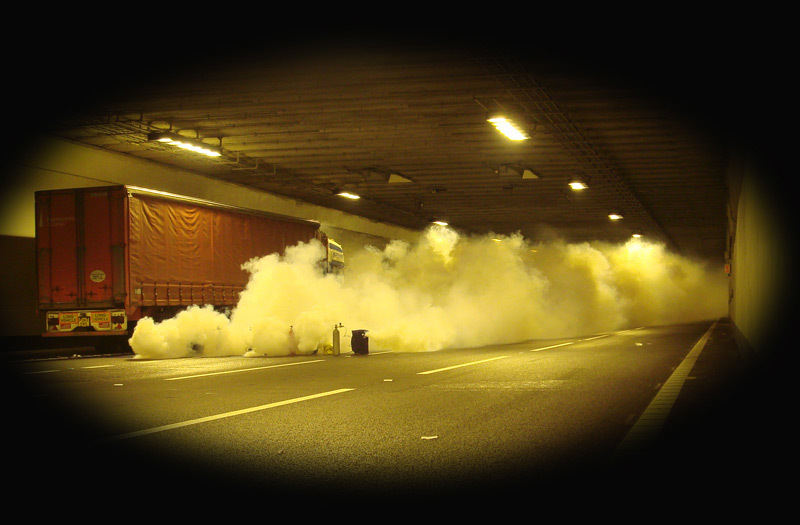 A successful emergency exercise, highlighting a number of operational problems was conducted and the efficiency of the ventilation system in dealing with smoke from a tunnel fire was demonstrated to all, including the emergency services, the Highways Agency representatives and the tunnel operating company. "I have been working in BA for nearly 5 years. Throughout this time Concept have always provided an excellent service and extremely reliable equipment!"